The winners of the MTA’s Transit Genius Challenge, which was first announced last spring, have been selected. 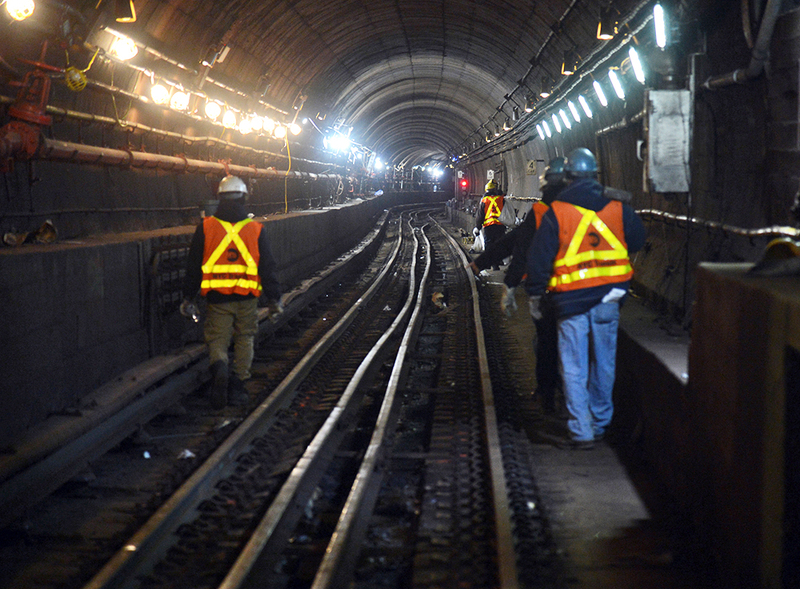 The award, which set aside $3 million to be split among winners in three categories, is part of the city’s plan to modernize the aging subway system, which has been experiencing ever increasing delays and other issues affecting its nearly 6 million daily users. The MTA has been in an official state of emergency since the summer of 2017. Of the 19 finalists, of which 17 are major corporations and current MTA contractors, eight have been selected as winners to split the three $1 million prizes. In the category of signalling, Robert James and Metrom Rail have both won for a proposal to use ultra-wideband technology, a wireless technology that eliminates the need for more costly, cumbersome equipment and that the MTA has the ability to implement immediately. Using ultra-wide band technology would cut decades off the 40-year plan to overhaul the subway’s signaling system. Also in signalling, Ansaldo STS and the Thales Group have won the contest with plans for using sensors and cameras to track train positions and allow them to travel closer together more effectively. In the second challenge category, subway cars, three winners have been chosen for three different approaches to the problem. Lawyer and transit aficionado Craig Avedisian took home $330,000 for a plan that combines longer, higher capacity trains with new loading procedures to significantly increase train capacity with only minor changes to underlying technical infrastructure. CRRC has proposed a $50 million initial investment to develop an entirely new train car with materials such as carbon fiber, and proposes shorter lifecycles on subway cars to be able to continually phase in the newest technologies. Finally, CSiT wants to harness the power of big data to quickly identify maintenance issues and create a more reliable rider experience. In the final category, communications, Bechtel Innovation has won for a plan to implement a semi-automatic robotic system to install communications and control systems. The Big B, as the robotic solution is called, could even nimbly climb off railways, into stations, onto platforms, and into service bays. Transit Wireless and Alcatel-Lucent (Nokia) received honorable mentions in the category.